This listing is for 1 felt game. 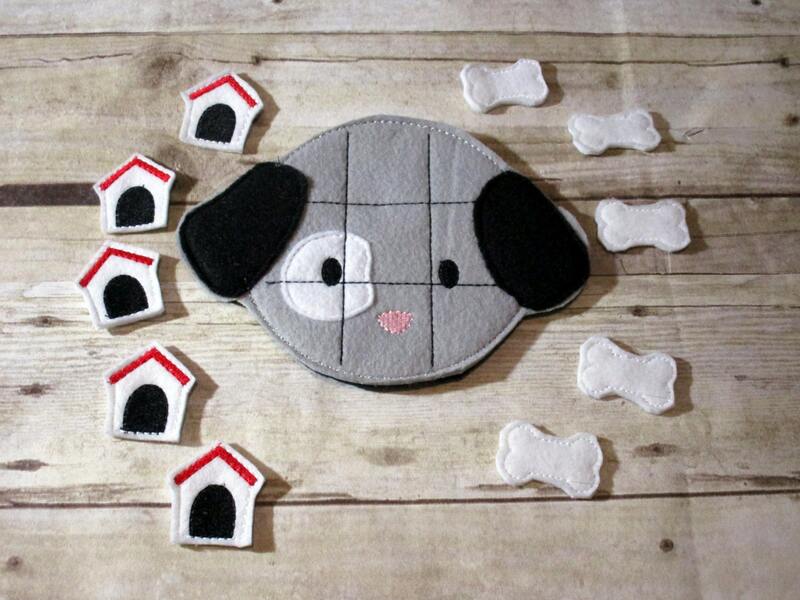 It is a machine stitched puppy tic tac toe game as pictured. The tic tac toe board is about 5x7 inches at it's widest points. 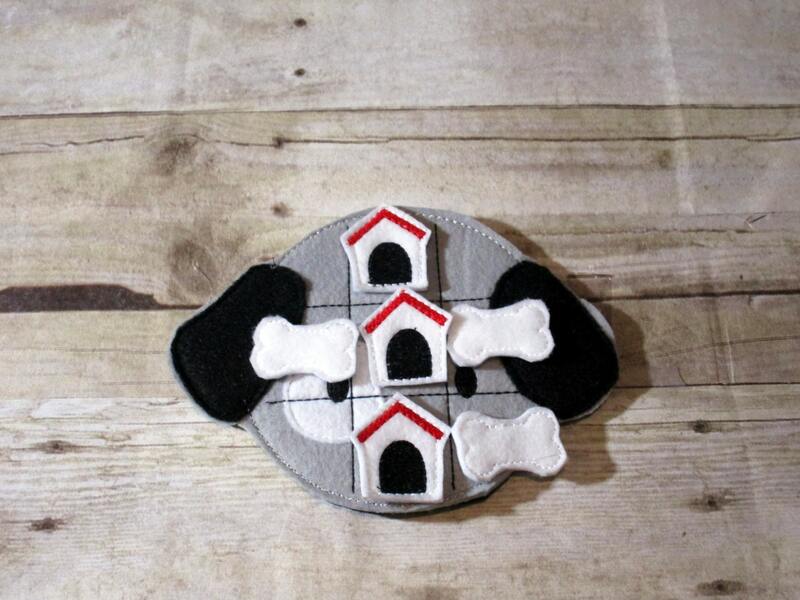 This kids game is machine stitched, hand cut tic tac toe game made from eco felt. Tic tac toe board doubles as a carry case with a built in pocket on the reverse side to house the pieces. This is game is perfect for any gift giving occasion, birthdays, Christmas, Easter basket gift, or just because. Makes a perfect travel game. This product CPSC compliant as it meets CPSC safety requirements.